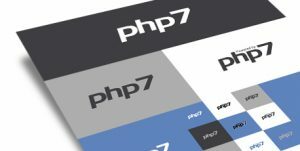 Why Should PHP Developers Upgrade To PHP 7? It’s been a long time since the support for PHP 5.6 has ended. Well, there are still a huge amount of PHP developers still working on the same version. The question here is why they are not shifting to the latest version and still very much committed to the old one. Well, commitment is very great in personal life but, when it comes to technology, it is ever evolving and sticking to one will not work. There should always be an upgrade when it comes to technology. Well, there are PHP developers who have upgraded to PHP 7, but not all. There are almost 70.5% of PHP developers who are using version 5 and only 29% of developers who are using version 7. The numbers should be another way around. 31% of the developers doesn’t shift because their mobile app development company denies. 25% of the PHP developers don’t shift just because of the laziness, and 10% of developers are not really sure how to shift. The company might think the cost of making the shift might be too high. The developers might need training which will cost the company. Also, the developers might have to rewrite the entire code which can take time. Also, the fact that the other projects might be on hold while this entire process is completed. Time consumption and halt for other projects might a reason for company denying to shift to the latest. The actual scenario is different from what is portrayed above. Upgrading to the latest version is not as complicated as it is thought of. It doesn’t ask for a huge costing or time and the company suffers a loss by not doing so. The upgraded versions offer several benefits the companies miss out on the grounds of allotting some time. There are plenty of developers well aware of the benefits and have enough time and skills to make the shift. However, they won’t just because of the laziness. At times, developers get too comfortable using something that they won’t accept the change. This is one of the reasons a whole lot of PHP developers are still stuck with PHP version 5. It might be possible they can’t go the employers with the idea or they themselves are not sure whether they will be able to work with the updated version as smoothly and easily as they work with the current one. If you think about the newbies just completed their PHP training program and started working as a developer, its difficult. They spend a huge amount of time in learning the current version and implement it in real life and work with it. Processing all those has just finished and here it is a new version. This section of developers doesn’t really know how to make such a huge shift and carry the development process of their assigned project. The best way to solve all the above-mentioned reasons for not making the shift is professional PHP training. The developers can take training and it won’t be long as they already know and invest a short time to get their skills updated according to the market. Just a little time and you will be all ready to reap the benefits of the PHP 7 version.